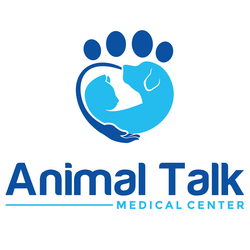 Affordable Wellness Plans: These plans are designed to help you keep your pet healthy and happy while saving money. Wellness Plans provide excellent care with a substantial discount. Your pets will get the full benefit of health checks, disease prevention, and parasite testing with affordable payments to help spread out costs. Reduce large, unexpected costs through early disease diagnosis and treatment. ​​These plans are not designed to act as insurance. Although Patient enrolled in the plans will receive unlimited examinations during office hours and plus plan members will receive 1 after hours emergency visit free as well. How it works: There is a $50 enrollment fee per pet, waived if plan is paid in full at time of enrollment and waived the following year if renewed within 1 month anniversary date. Plans will automatically renew annually; plan can be cancelled at any time. At time of enrollment, the enrollment fee and first months fee is due. The remaining 11 monthly payments will be paid automatically via credit or debit card on the first Tuesday of every month. Plans that are paid in full can be paid by cash, check, or credit card; Plans paid in full will also receive an additional discount. For any questions or specific plan pricing please contact us via email or phone.